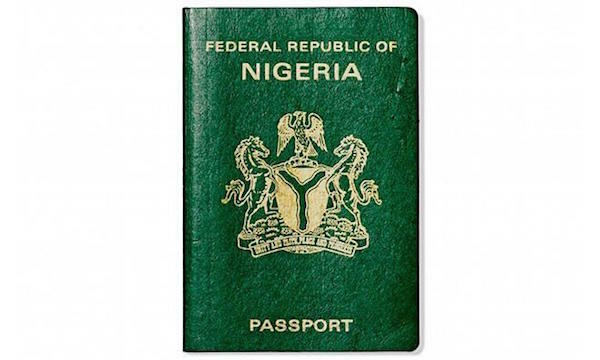 The Nigeria Immigration Service (NIS) has said that beginning from January 2018, any citizen who does not possess National Identity Management Commission (NIMC) number can no longer obtain or renew international passport. Making this disclosure on Tuesday in Abuja after a meeting with the Information Communication Technology (ICT) Department of the Presidential Villa, NIS Comptroller General, Mohammed Babandede, said the nation had been confronted with the challenge of data harmonisation. According to him, in pursuit of data harmonisation, once a citizen is captured by NIMC, there will be no need for him/her to be captured again by NIS, explaining further that the same principle applies to foreigners as the overall objective is to achieve e-government in Nigeria. “The bulk lies on all our table. It is the harmonisation of data and requires all of us to act but the biggest problem we are facing is that everybody is deploying his own technology. There is a practical commitment to this. We have agreed that from 2018 1st January, anybody who is going to apply for Nigerian Passport, whether renewal or fresh must first have an NIMC number, national identity number. “Why we are doing this is we want to ease business for Nigerians. There is no need for you to go and have your bio-metric captured by NIMC and then you come and capture again with the Nigeria Immigrations. “Once you give us your NIMC number, we will collect the bio-metric from NIMC and produce your passport. That is the intention to do in all other agencies. I have also given directive that any foreigner, non-Nigerian resident in Nigeria will not get his permit renewed. He or she will not get his passport renewed until he has a NIMC number. To achieve this, NIMC and passport numbers will be harmonised and we are committed to allow NIMC in Immigration. “All NIMC staff can work in our passport office so when you come to get the passport, you can also get the national identity card. The NIMC has also allowed immigration staff to work in their offices so that anybody who is coming to claim Nigerian citizenship, they will help to identify that citizen. That is the cooperation that we have had so far,” he said. Babandede also stated that the objective of the harmonisation policy was to ensure the entrenchment of one functioning central system in the country where anyone can secure needed facility from any of the agencies of government. He also said the system would make it easier to identify any citizen who is a regular taxpayer or defaulter. “We are not talking of tax, we are talking of e- government. We want to have one e-govenrment. What government is saying is that when you want to collect any facility from any government agency, you don’t need to look for the document from any other government agency. “We should be able to access it. We should be able to know whether you have paid your tax or not. If you are coming through the airport and you want to leave Nigeria, we should be able to know that this guy has not paid his tax and you should be able to pay your tax before you depart. We are looking at one e-government and it is possible,” he added. In his own submission, Senior Special Assistant to the President on ICT, Lanre Osibona, said the country was making progress on data harmonisation which he said would give Nigeria a leap on security matters, innovation, social and financial inclusion as well as financial and national planning. Osibona who added that Nigeria was working with the World Bank and Melinda and Bill Gates Foundation with the intention of capturing 180 million Nigerians in three years, further disclosed that so far, only about 20 million Nigerians had been captured. “We just had a good meeting in terns of national identity which we know is a great asset for the country and so much work has been ongoing with respect to harmonising all the silo data bases. “We are making progress finally. The benefits of national identity is immense security, innovation, social inclusion, financial inclusion. This concerns our citizens and it helps in forecasting budget, better planning. So, we are determined to ensure that we deliver full concise database for all Nigerians,” he said. “It is good to also share with you that when we came in about two years ago, there were 5 million records of NIMC but today, we have moved it close to 20 million and we intend to have up to 30 million by the end of this year. We are working with the World Bank and Bill and Melinda Gates Foundation to have a proper approach of how we will be able to capture over 180 million over a three-year period. “Something else that is very worthwhile to mention is part of the effort of government with regards to digital economy. What we have also captured here is the Public Key Infrastructure which will sit within NITDA. An intention of this is to allow for digital signing of key documents being able to authenticate our document digitally. Again, this helps meet the effort of the Presidential Enabling Business Environment Council (PEBEC) on ease of doing business. So, we will be able to have Corporate Affairs Commission (CAC), be able to issue certificates digitally, National Health Insurance Scheme (NHIS), tax clearance, etc. So, the resolution as part of the meeting here is that this will be driven by National Information Technology Development Agency (NITDA),” he stated.